Is LASSO right for you? Mastering your labor management process is important, especially in the staffing and live event production industries. Luckily, robust staffing software exists to help enhance labor management strategies so you can better manage your contingent workforce. What should you look for in a staffing software solution? Find out in this infographic. What does a typical day look like for labor coordinators when it comes to crewing and managing labor for an event? 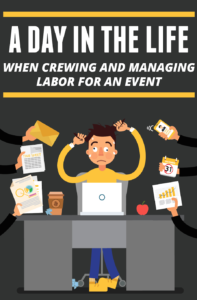 Find out in this infographic that takes a look at how a labor coordinator worked before finding LASSO for event crew management. 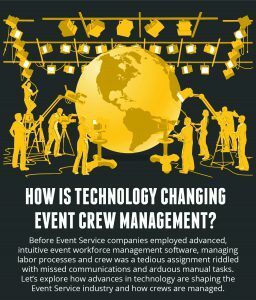 How Is Technology Changing Event Crew Management? 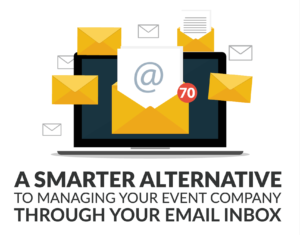 Before Event Service companies employed advanced, intuitive event workforce management software, managing labor processes and crew was a tedious assignment riddled with missed communications and arduous manual tasks. 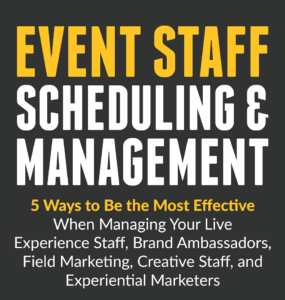 Learn more about how technology is changing event crew management in this infographic. 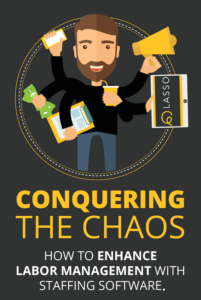 Learn more about the growing gig economy and how Event Service companies can eliminate frustrating and tedious manual processes as well as boost the ability to make strategic decisions with a fully integrated business intelligence software. 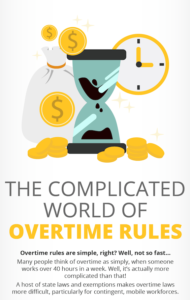 What’s the #1 frustration in an event company’s workforce scheduling process? Determining crew availability. © 2019 Lasso Workforce. All Rights Reserved. Thank you for spending some of it with us. Or, fill out this form and we’ll reach out to discuss your challenges and explore how LASSO can help.